Transcript of a BriefingsDirect podcast on how upgrading or building new data centers can address critical efficiency, capacity, power and cooling requirement and concerns. Today, we present a sponsored podcast discussion on the huge drive for improvement around enterprise data centers. Many enterprises, if not nearly all, are involved nowadays with some level of data-center transformation either in the planning stages or in outright execution. The heightened activity runs the gamut from retrofitting and designing new data centers to then building and occupying them. We're seeing many instances where numerous data centers are being consolidated into a powerful core few, as well as completely green-field data centers -- with modern design and facilities -- are coming online. These are, by no means, trivial projects. They often involve a tremendous amount of planning and affect IT, facilities, and energy planners, as well as the business leadership and line of business managers. The payoffs are potentially huge, as we'll see, from doing data center design properly, but the risks are also quite high, if things don't come out as planned. The goal through these complex undertakings at these data centers is to radically improve how IT can deliver its services and be modern, efficient, and flexible. Today, we're going to examine the lifecycle of data-center design and fulfillment through migration and learn about some of the payoffs when this goes as planned. We're going to learn more about a successful project at Valero Energy Corp. The goal through these complex undertakings at these data centers is to radically improve how IT can deliver its services and be modern, efficient, and flexible. We're here with two executives from Hewlett-Packard to look at proper planning and data center design, as well as build and migration. And we'll learn from an IT leader at Valero how they managed their project. Please join me in welcoming our guests today. We're here with Cliff Moore, America’s PMO Lead for Critical Facilities Consulting at HP. Welcome to the show, Cliff. Gardner: We're also here with John Bennett, Worldwide Director of Data Center Transformation Solutions at HP. Hello, John. Gardner: We're also here with John Vann, Vice President of Technical Infrastructure and Operations at Valero Energy Corp. Welcome to the show, John. John Vann: Hello, Dana. Thanks a lot. Gardner: Let's go to you, John Bennett. Tell us why data center transformation is at an inflection point, where data centers are in terms of their history, and what are the new requirements. It seems to be somewhat of a perfect storm in terms of there's a need to move, and things still are really not acceptable? Bennett: You're right on that front. I find it just fascinating that if you had spoken four years ago and dared to suggest that energy, power, cooling, facilities, and buildings were going to be a dominant topic with CIOs, you would have been laughed at. Yet, that's definitely the case today, and it goes back to the point you made about IT being modern and efficient. Data-center transformation, as we've spoken about before, really is about not only significantly reducing cost to an organization, not only helping them shift their spending away from management and maintenance and into business projects and priorities, but also helping them address the rising cost of energy, the rising consumption of energy and the mandate to be green or sustainable. The issues that organizations have in trying to address those mandates, of course, is that the legacy infrastructure and environments they have, the applications portfolio, the facilities, etc., all hinder their ability to execute on the things they would like to do. Data-center transformation tries to take a step back, assess the data center strategy and the infrastructure strategy that's appropriate for a business, and then figure how to get from here to there. How do you go from where you are today to where you need to be? It turns out that one of the things that gets in the way, both from a cost perspective and from a supporting the business perspective is the data centers themselves. Customers can find themselves, as HP did, having a very large number of data centers. We had 85 around the world, because we grew through acquisition, we grew organically, and we had data centers for individual lines of business. We had data centers for individual countries and regions. When you added it up, we had 85 facilities and innumerable server rooms, all of them requiring administrative staff, data center managers, and a lot of overhead. As part of our own IT transformation effort, we've brought that down to six. You have organizations that discover that the data centers they have aren't capable of meeting their future needs. One wag has characterized this as the "$15 million server," where you keep needing to grow and support the business. All of a sudden, you discover that you're bursting at the themes. Or, you can be in California or the U.K. The energy supply they have today is all they’ll ever have in their data center. If they have to support business growth, they're going to have to deal it by addressing both their infrastructure strategies, but probably also by addressing their facilities. That's where facilities really come into the equation and have become a top-of-mind issue for CIOs and IT executives around the world. Gardner: John, it also strikes me that the timing is good, given the economic cycle. The commercial market for land and facilities is a buyer's market, and that doesn’t always happen, especially if you have capacity issues. You don’t always get a chance to pick when you need to rebuild and then, of course, money is cheap nowadays too. Bennett: If you can get to it. Gardner: The capital markets are open for short-intervals. Bennett: We certainly see, and hope to see, signs of recovery here. Data center location is an interesting conversation, because of some of the factors you named. One of the things that is different today than even just 10 years ago is that the power and networking infrastructure available around the world is so phenomenal, there is no need to locate data centers close to corporate headquarters. You may choose to do it, but you now have the option to locate data centers in places like Iceland, because you might be attracted to the natural heating of their environment. Of course, you might have volcano risk. You have people who are attracted to very boring places, like the center of the United States, which don't have earthquakes, hurricanes, wildfires and things that might affect facilities themselves. Or, as I think you'll discover with John at Valero, you can choose to build the data center right near corporate headquarters, but you have a lot of flexibility in it. The issue is not so much access to capital markets as it is that any facility’s project is going to have to go through not just the senior executives of the company, but probably the board of directors. You'll need a strong business case, because you're going to have to justify it financially. You're going to have to justify it as an opportunity cost. You're going to have to justify in terms of the returns on investment (ROIs) expected in the business, if they make choices about how to manage and source funds as well. So, it's a good time from the viewpoint of land being cheap, but it might be a good time in terms of business capital be available. It might not be a good time in terms of investment funds being available, as many banks continue to be reluctant to loan than it appears. The majority of the existing data centers out there today were built 10-15 year ago, when power requirements and densities were lot lower. Gardner: The variables now for how you would consider, plan, and evaluate are quite different than even just a few years ago. Bennett: It's certainly true, and I probably would look to Cliff to say more about that. Gardner: Cliff Moore, what's this notion of fit-for-purpose, and why do you think that variables for deciding to move forward with data center transformation of redesigned activities is different nowadays? Why we are in a different field, in terms of decisions around these issue? Moore: Obviously, there's no such thing as a one-size-fits-all data center. It's just not that way. Every data center is different. The majority of the existing data centers out there today were built 10 to 15 years ago, when power requirements and densities were a lot lower. It's also estimated that, at today's energy cost, the cost of running a server from an energy perspective is going to exceed the cost of actually buying the server. So that's a major consideration. We're also finding that many customers have done no growth modeling whatsoever regarding their space, power, and cooling requirements for the next 5, 10, or 15 years -- and that's critical as well. Gardner: We should explain the notion of fit for purpose upfront for those folks who might not be familiar with it. Bennett: With fit for purpose, the question in mind is the strategic one of the data center strategy for an organization in particular. If you think about the business services that are being provided by IT, it's not only what those business services are, but how they should be sourced. If they’re being provided out of entity-owned data centers, how many and where? What's the business continuity strategy for those? It needs to take into account, as Cliff has highlighted, not only what I need today, but that buildings typically have an economic life of 15 to 25 years. Technology life cycles for particular devices are two or three years, and we have ongoing significant revolutions in technology itself, for example, as we moved from traditional IT devices to fabric infrastructures like converged infrastructure. You have these cycles upon cycles of change taking place. The business forecasts drive the strategy and part of that forecasting will be sizing and fit for purpose. Very simply, are the assets I have today capable of meeting my needs today, and in my planning horizon? If they are, they’re fit for purpose. If they’re not, they’re unfit for purpose, and I'd better do something about it. Gardner: We're in a bit of a time warp, Cliff. It seems that, if many were built 15 years and we still don't have the sense of where we'll be in 5 or 10 years, we seem to be caught between not fitting into the past but not quite fitting or knowing what the future is. How do you help people smooth that out? When a customer is looking to spend $20 million, $50 million, or sometimes well over a $100 million, on a new facility, you’ve got to make sure that it fits within the strategic plan for the business. Moore: Obviously, we’ve got to find out first off what they need -- what space, power, and cooling requirements. Then, based on the criticality of their systems and applications, we quickly determine what level of availability is required, as well. This determines the Uptime Institute Tier Level for the facility. Then, we go about helping the client strategize on exactly what kinds of facilities will meet those needs, while also meeting the needs of the business that come down from the board. When a customer is looking to spend $20 million, $50 million, or sometimes well over a $100 million, on a new facility, you’ve got to make sure that it fits within the strategic plan for the business. That's exactly what boards of directors are looking for, before they will commit to spending that kind of money. Gardner: What does HP bring to the table? How do you start a process like this and make it a lifecycle, where that end goal and the reduce risk play out to get the big payoffs that those boards of directors are interested in? Moore: Well, our group within Critical Facilities Services actually comes to the table with company's executives and not only looks at what are their space, power, and cooling requirements, but what are the strategies of the business. What are the criticality levels of the various mission-critical applications that they run? What are their plans for the future? What are their mergers and acquisitions plans, and so on and so forth. We help them collaboratively develop that strategy in the next 10 to 15 years for the data center future. Gardner: It was pointed out earlier that one size doesn't fit all. From your experience, Cliff, what are the number one or two reasons that you’re seeing customers go after a new design for the data center, and spend that large sum of money? Moore: Probably the biggest reason we're seeing today is power and cooling. Of course, cooling goes along with power. We see more of that than anything else. People are simply running out of power in their data centers. The facilities today that were built 5, 10, or 15 years ago, just do not support the levels of density in power and cooling that clients are asking for going to the future, specifically for blades and higher levels of virtualization. Gardner: So higher density requires more energy to run the servers and more energy to cool them, but you have a higher efficiency, utilization, and productivity as the end result, in terms of delivering on the requirements. Is there a way for designing the data center that allows you to cut cost and increase capacity or you are asking too much of this process? Moore: There certainly are ways to do that. We look at all of those different ways with the client. One of the things we do, as part of the strategic plan, is help the client determine the best locations for their data centers based on the efficiency in gathering free cooling, for instance, from the environment. It was mentioned that Iceland might be a good location. You'd get a lot of free cooling there. Gardner: What are some of the design factors? What are the leading factors that people need to look at? Perhaps, you could start to get us more familiar with Valero and what went on with them in the project that they completed not too long ago. Moore: I'll defer to John for some of that, but the leading factors we're seeing again are our space, power, and cooling, coupled with the tier level requirement. What is the availability requirement for the facility itself? Those are the biggest factors we're seeing. Some data centers we see out there use the equivalent of half of a nuclear power plant to run. Marching right behind that is energy efficiency. As I mentioned before, the cost of energy is exorbitant, when it comes to running a data center. Some data centers we see out there use the equivalent of half of a nuclear power plant to run. It's very expensive, as I'm sure John would tell you. One of the things that the Valero is accomplishing is the lower energy costs, as a result of building their own. Gardner: Before we go to Valero, I have one last question on the market and some of the drivers. What about globalization? Are we seeing emerging markets, where there is going to be many more people online and more IT requirements? Is that a factor as well? Bennett: There are a number of factors. First of all, you have an increasing access of the Internet and the increasing generation of complex information types. People aren't just posting text anymore, but pictures and videos. And, they’re storing those things, which is feeding what we characterize as an information explosion. The forecast for storage consumption over the next 5 to 10 years is just phenomenal. On top of that, you have more and more organizations and businesses providing more of their business services through IT-based solutions. You talked about a perfect storm earlier with regard to the timing for data centers. Most organizations are in a perfect storm today of factors driving the need for ongoing investments and growth out of IT. The facilities have got to help them grow, not limit their growth. Gardner: John Vann, you’re up. I'm sorry to have left you off on the sidelines there for so long. Tell us about Valero Energy Corp., and what it is that drove you to bite off this big project of data-center transformation and redesign? Vann: Thanks a lot, Dana. Just a little bit about Valero. 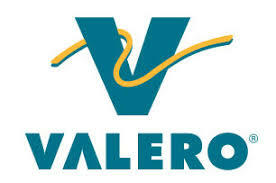 Valero is a Fortune 500 company in San Antonio, Texas and we're the largest independent refiner in the North America. We produce fuel and other products from 15 refineries and we have 10 ethanol plants. We market products in 44 states with large distribution network. We're also into alternative fuel with renewables and one of the largest ethanol producers. We have a wind farm up in northern Texas, around Amarillo, that generates enough power to fuel our McKee refinery. So what drove us to build? We started looking at building in 2005. Valero grew through acquisitions. Our data center, as Cliff and John have mentioned, was no different than others. We began to run into power,space, and cooling issues. Even though we were doing a lot of virtualization, we still couldn't keep up with the growth. We looked at remodeling and also expanding, but the disruption and risk to the business was just too great. So, we decided it was best to begin to look for another location. Our existing data center is on headquarters’ campus which is not the best place for the data center, because it's inside one of our office complexes. Therefore, we have water and other potentially disruptive issues close to the data center -- and it was just concerning considering where the data center is located. We began to look for alternative places. We also were really fortunate in the timing of our data center review. HP was just beginning their build of the six big facilities that they ended up building or remodeling, and so we were able to get good HP internal expertise to help us as we were beginning our decision of design and building our data center. The problem with collocation back in those days of 2006, 2007, and 2008, was that there was a premium for space. So, we really were fortunate to have experts give us some advice and counsel. We did look at collocation. We also looked at other buildings, and we even looked at building another data center on our campus. The problem with collocation back in those days of 2006, 2007, and 2008, was that there was a premium for space. As we did our economics, it was just better for us to be able to build our own facility. We were able to find land northwest of San Antonio, where several data centers have been built. We began our own process of design and build for 20,000 square feet of raised floor and began our consolidation process. Gardner: What, in your opinion, was more impactful -- the planning the execution, the migration? I guess the question should be, what ended up being more challenging than you expected initially? Where do you think, in hindsight, you’d put more energy and more planning, if you had to do it all again? Vann: I think our approach was solid. We had a joint team of HP and the Valero Program Management Office. It went really well the way that was managed. We had design teams. We had people from networking architecture, networking strategy and server and storage, from both HP and Valero, and that went really well. Our construction went well. Fortunately, we didn’t have any bad weather or anything to slow us down; we were right on time and on budget. Probably the most complex was the migration, and we had special migration plans. We got help from the migration team at HP. That was successful, but it took a lot of extra work. If we had one thing to do over again, we would probably change the way we did our IP renumbering. That was a very complex exercise, and we didn’t start that soon enough. That was very difficult. Probably we'd put more project managers on managing the project, rather than using technical people to manage the project. Technical folks are really good at putting the technology in place, but they really struggle at putting good solid plans in place. But overall, I'd just say that migration is probably the most complex. Power and cooling are just becoming an enormous problem. Gardner: Thank you for sharing that. How old was the data center that you wanted to replace? Vann: It's about seven years old and had been remodeled once. You have to realize Valero was in a growth mode and acquiring refineries. We now have 15 refineries. We were consolidating quite a bit of equipment and applications back into San Antonio, and we just outgrew it. We were having hard time keeping it redundant and keeping it cool. It was built with one foot of raised floor and, with all the mechanical inside the data center, we lost square footage. Gardner: Do you agree, John, that some of the variables or factors that we discussed earlier in the podcast have changed, say, from just as few as six or seven years ago? Vann: Absolutely. Power and cooling are just becoming an enormous problem and most of this because virtualization blades and other technologies that you put in a data center just run a little hotter and they take up the extra power. It's pretty complex to be able to balance your data center with cooling and power, also UPS, generators, and things like that. It just becomes really complex. So, building a new one really put us in the forefront. Gardner: Can you give us some sense of the metrics now that this has gone through and been completed? Are there some numbers that you can apply to this in terms of the payback and/or the efficiency and productivity? Vann: Not yet. We've seen some recent things that have happened here on campus to our old data center, because of weather and just some failures within the building. We’ve had some water leaks that have actually run into the data center floor. So that's a huge problem that would have flooded our production data center. You can see the age of the data center beginning to have failures. We've had some air-conditioner failures, some coolant leaking. I think our timing was just right. Even though we have been maintaining the old data center, things were just beginning to fail. Gardner: So, certainly, there are some initial business continuity benefits there. Gardner: Going back to Cliff Moore. Does anything you hear from John Vann light any light bulbs about what other people should be considering as a step up to the plate on these data center issues? Moore: They certainly should consult John's crystal ball regarding the issues he's had in his old data center, and move quickly. Don’t put it off. I tell people that these things do happen, and they can be extremely, costly when you look at the cost of downtime to the business. You’ve got to know precisely what you are going to move, exactly what it's going to look like half a year or a year from now when you actually move it, and focus very heavily on the dependencies between all of the applications. Gardner: Getting started, we talked about migration. It turns out that we did another podcast that focused specifically on data-center migration and we can reference folks to that that easily. What is it about planning, getting started as you say, when people recognize that the time might not be on their side? What are some of the initial steps, and how might they look to HP for some guidance? Moore: We focus entirely on discovery early on. You’ve got to know precisely what you are going to move, exactly what it's going to look like half a year or a year from now when you actually move it, and focus very heavily on the dependencies between all of the applications, especially the mission-critical applications. Typically, a move like John’s requires multiple, what we call, move groups. John’s company had five or six, I believe. You simply cannot divide your servers up into these move groups, without knowing what you might break by dividing them up. Those dependencies are critical, and that's probably the failing point. Vann: We had five move groups. Knowing what applications go with what is a real chore in making sure that you have the right set of servers you can move on a particular weekend. We also balanced it with downtime from the end customers, so we’re going to make sure that we were not in the middle of a refinery turnaround or a major closing. Being able to balance those weekends, so we had enough time to be able to make the migration work was quite a challenge. Gardner: John Vann, did you take the opportunity to not only redesign and upgrade your data center facilities, but at the same time, did you modernize your infrastructure or your architecture? You said you did quite a bit with virtualization already, was this a double whammy in terms of the facilities as well as the architecture? Vann: Yes. We took the opportunity to upgrade the network architecture. We also took the opportunity to go further with our consolidation. We recently finished moving servers from refineries into San Antonio. We took the opportunity to do more consolidation and more virtualization, upgrade our blade farm, and just do a lot more work around improving the overall infrastructure for applications. Gardner: I'd like to take that back to John Bennett. I imagine you're seeing that one of the ways you can rationalize the cost is that you're not just repaving a cow path, as it were. You're actually re-architecting and therefore getting a lot greater efficiency, not only from the new facility, but from the actual reconstruction of your architecture, or the modernization and transformation of your architecture. Bennett: There are several parts to that, and getting your hands around it can really extend the benefits you get from these kinds of projects, especially if you are making the kind of investment we are talking about in new data center facilities. Modernizing your infrastructure brings energy benefits in its own right, and it enhances the benefits of your virtualization and consolidation activities. It can be a big step forward in terms of standardizing your IT environment, which is recommended by many industry analysts now in terms of preparing for automation or to reduce management and maintenance cost. You can go further and bring in application modernization and rationalization to take a hard look at your apps portfolio. So, you can really get these combined benefits and advantages that come from doing this. We certainly recommend that people take a look at doing these things. If you do some of these things, while you're doing the data center design and build, it can actually make your migration experience easier. You can host your new systems in the new data center and be moving software and processes, as opposed to having to stage and move servers and storage. It's a great opportunity. It's a great chance to start off with a clean networking architecture, which also helps both with continuity and availability of services, as well as cost. John talked about dealing with the IP addresses, but the physical networking infrastructure and a lot of old data centers is a real hodgepodge that's grown organically over years. I guess you can blame some of our companies for having invented Ethernet a long time ago. But, it's a great chance to start off with a clean networking architecture, which also helps both with continuity and availability of services, as well as cost. They all come in there. I actually have a question for John Vann as well. Because they had a pretty strong focus around governance, and especially in handling change request, I'm hoping he might talk a little bit about that process of the design and build project. Vann: Our goal was to hold scope creep to a minimum. We had an approval process, where it had to be a pretty good reason for a change and for a server not to move. We fundamentally used the word "no" as much as we could to avoid not getting the right applications in the right place. Any kind of approval had to go through me. If I disagreed, and they still wanted to escalate it, we went to my boss. Escalation was rarely used. We had a pretty strong change management process. Gardner: I can see where that would be important right along the way, not something you want to think about later or adding onto the process, but something to set up right from the beginning. We’ve had a very interesting discussion about the movement in enterprise data centers where folks are doing a lot more transformation, moving and relocating their data centers, modernizing them, and finding ways to eke out efficiencies, but also trying to reduce the risk of moving in the future and looking at those all important power and energy consumption issues as well. I want to thank our guests. We've been joined today by Cliff Moore, America’s PMO Leads for Critical Facilities Consulting at HP. Thank you, Cliff. Moore: Thanks, Dana. Thanks, everybody. Gardner: John Bennett, Worldwide Director, Data Center Transformation Solutions at HP. Thank you, John. Gardner: And lastly, John Vann, Vice President, Technical Infrastructure and Operations at Valero Energy. John, I really appreciate your frankness and sharing your experience and I will certainly wish you all in that. Bennett: Thank you very much, Dana, I appreciate it. Listen to the podcast. Find it on iTunes/iPod and Podcast.com. Download the transcript. Sponsor: Hewlett-Packard. Transcript of a BriefingsDirect podcast on how upgrading or building new data centers can address critical efficiency, capacity, power requirement and cooling concerns. Copyright Interarbor Solutions, LLC, 2005-2010. All rights reserved.